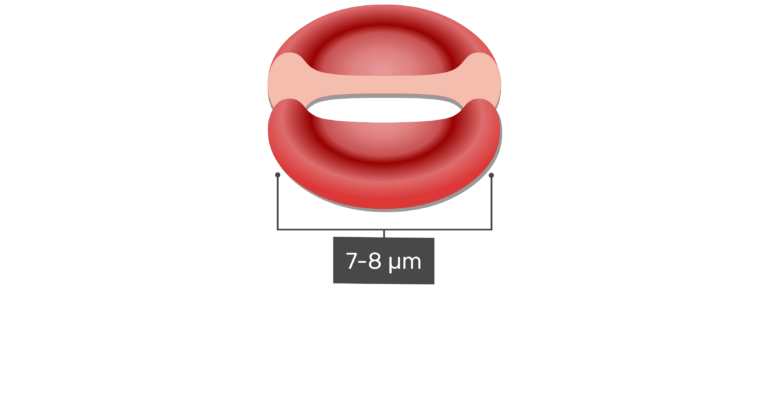 Red blood cells circulating in the blood stream. 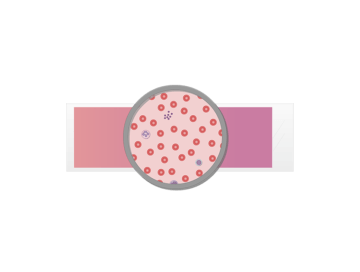 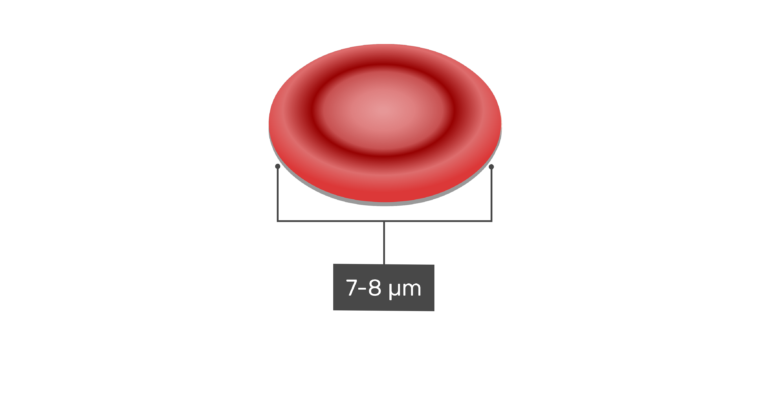 RBCs are small, disc-shaped cells that measure 7 – 8 micrometers (μm) in diameter. 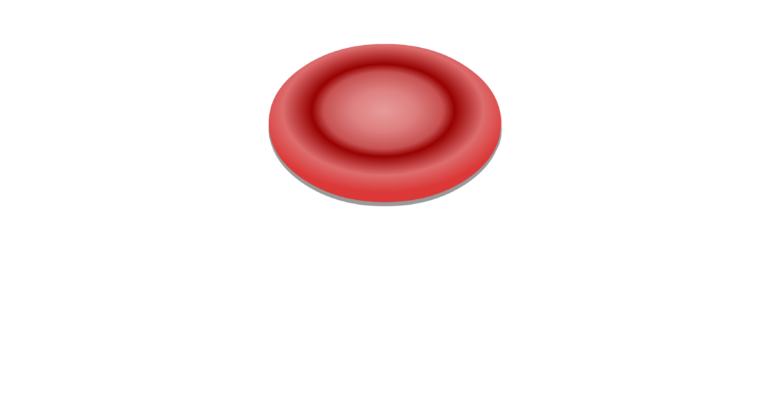 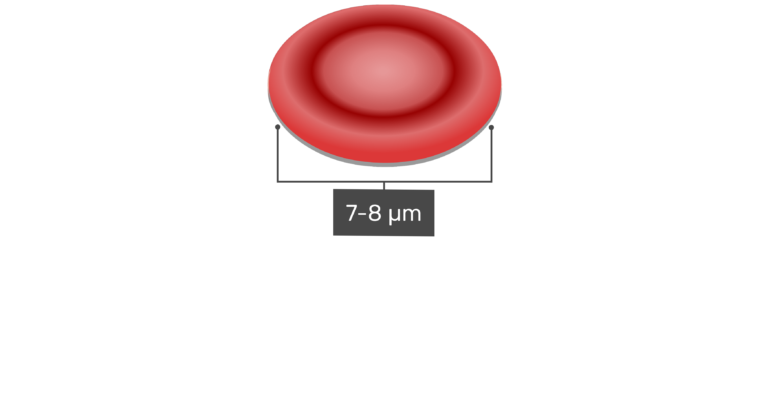 The diameter of a red blood cell. 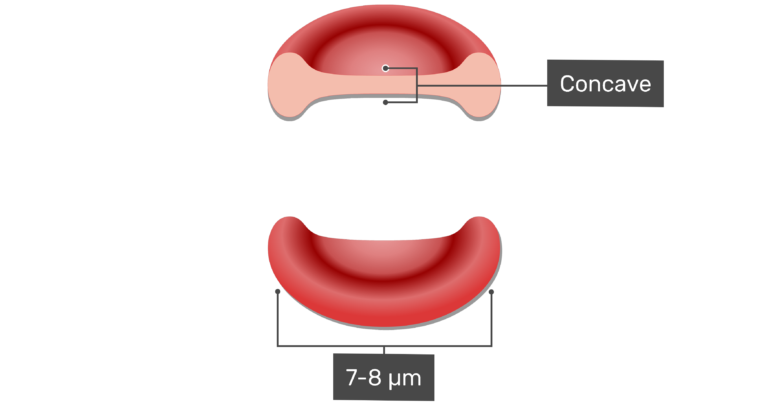 As they mature, RBCs extrude their nucleus and fill their cytoplasm with hemoglobin (Hb) molecules, which bind and transport oxygen (O2) and carbon dioxide (CO2). Mature RBCs are also biconcave in shape, which means they are indented in the middle and raised along the margins. 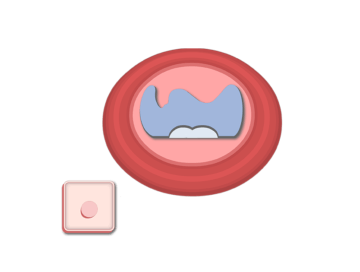 The biconcavity of a red blood cell. 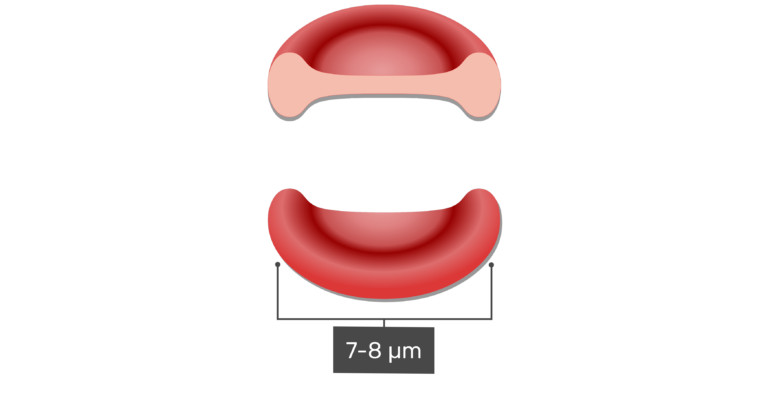 The thinnest area of an RBC normally measures about 1 μm and the thickest area measures 2-3 μm. 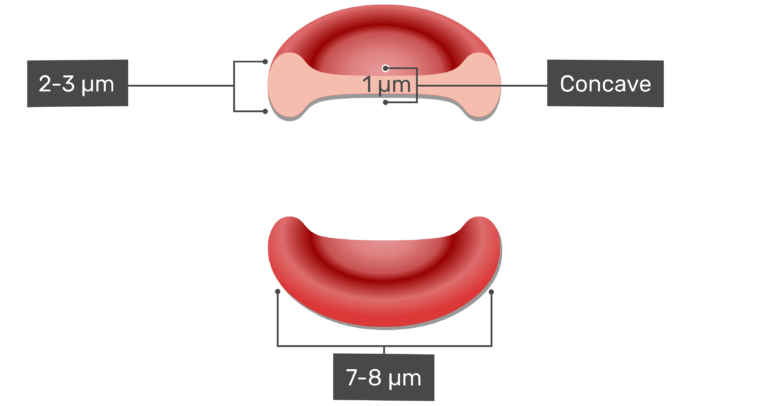 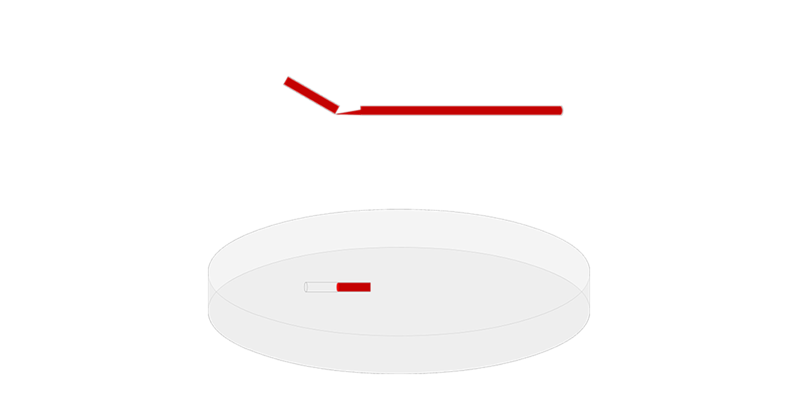 The measurements of the thinnest and thickest areas of a red blood cell. Due to their shape, RBCs appear pale in the middle and darker along the edges. 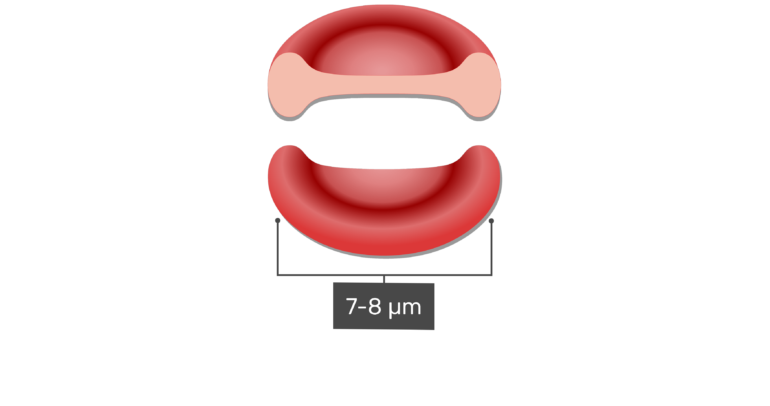 The biconcave shape provides RBCs with more surface area than other spherical cells of the same diameter. 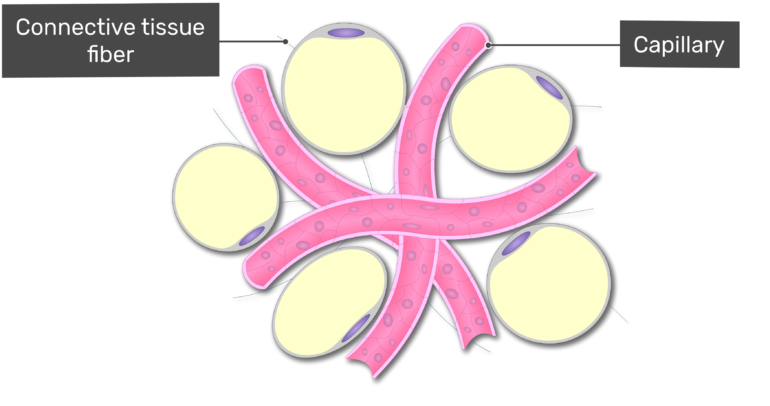 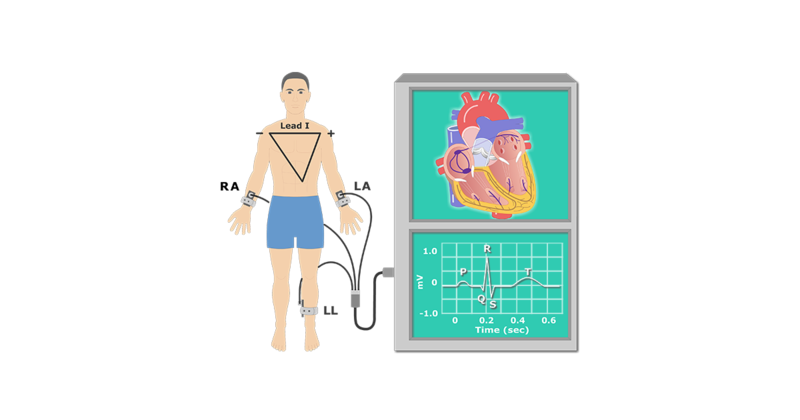 The additional surface area increases the rate of gas (O2; CO2) exchange with the tissues and lungs. 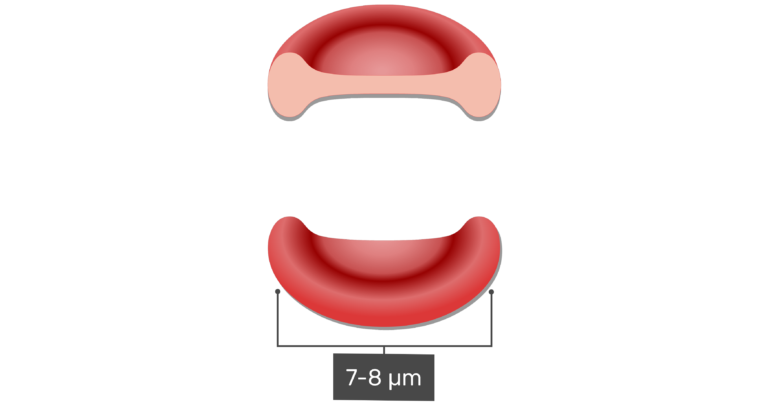 The biconcave shape also makes RBCs more flexible, which helps them flow through the narrow openings of the capillaries more easily. Tissue cells produce carbon dioxide when nutrient molecules undergo cellular respiration. 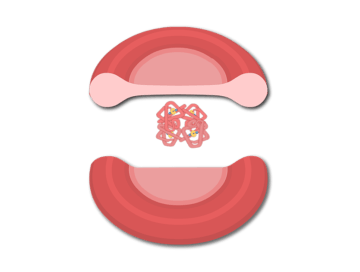 Review the transportation of CO2 in the blood in this tutorial.